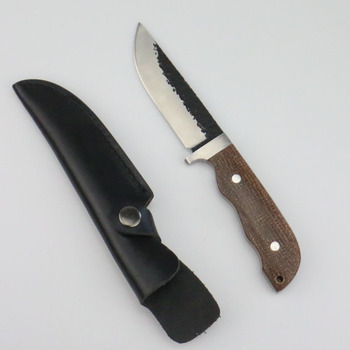 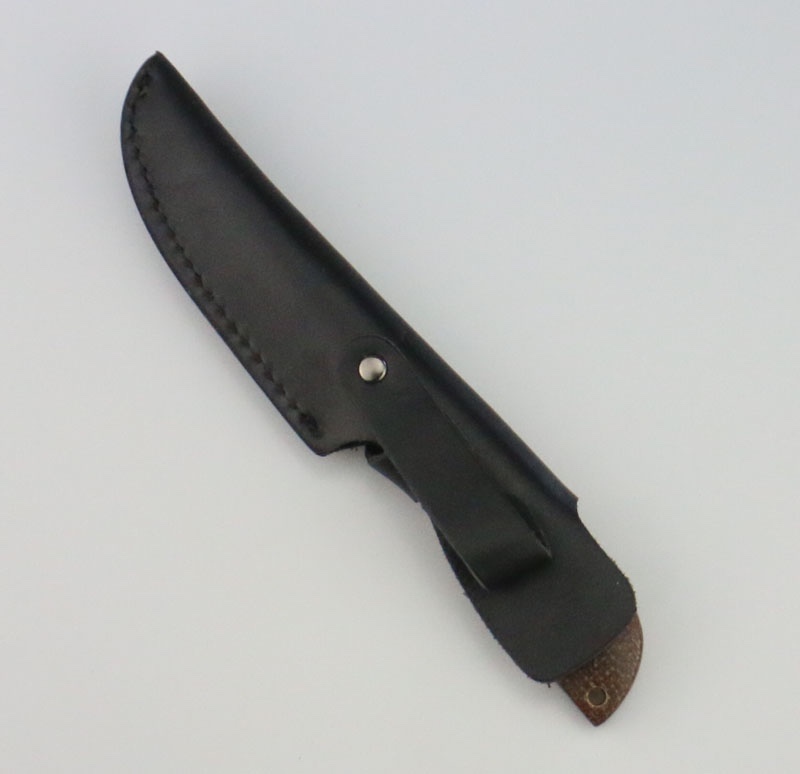 Strong and light full tang 440 steel blade, Micarta grip, natural leather. 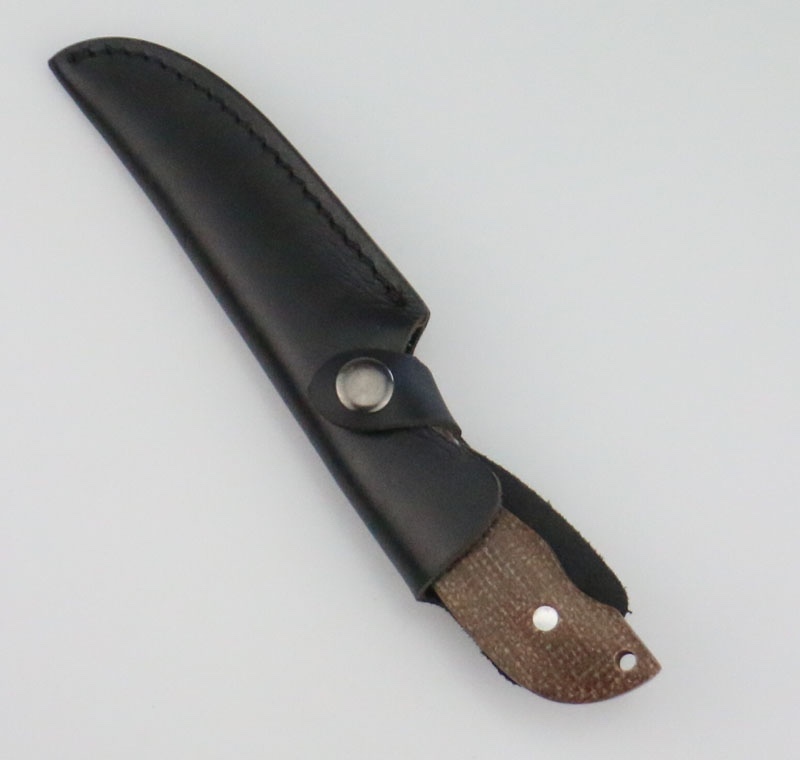 We stamped the blade to make the mark and it looks a forging blade. 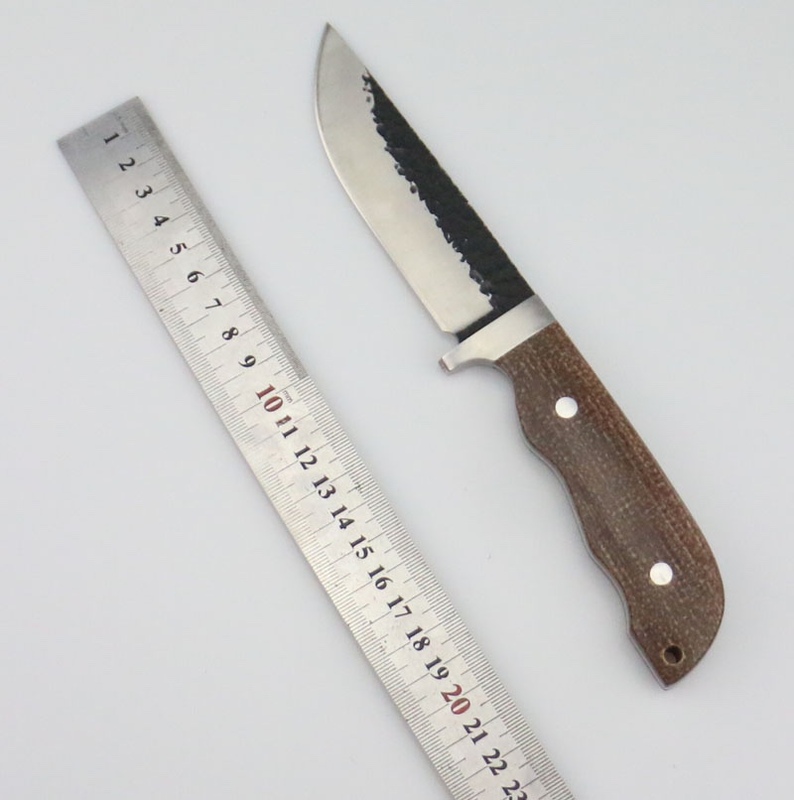 This knife is not so long and we make it only 2.8mm to get a light weight. I is strong enough.